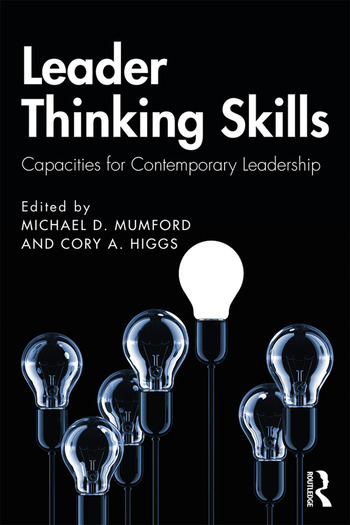 This book examines the various thinking skills that leaders may need to find success in contemporary organizations and institutions, covering a wide array of skills that are held to be important by key leadership scholars. Bridging theory and practice, chapters summarize major findings with respect to a particular ability, knowledge, or skill, providing theoretical frameworks for understanding how these contribute to leader emergence and performance, and considering implications for leader selection, assessment, and development. The text appraises the existing research on the critical cognitive capabilities that underlie leader problem-solving and implications for the assessment and development of leadership potential in real-world settings. The role of creative thinking skills on leader performance is also addressed, bearing on the importance of processes such as problem definition and idea generation, but also using constraints to potentially stimulate creative thought. With contributions from some of the most eminent scholars working in the field of leadership, this book will be in invaluable resource to academics, researchers, graduate students, and professionals interested in leadership and leader skills, I/O psychology, and business management. Chapter 14: Wisdom, Foolishness and Toxicity in Leadership: How Does One Know Which is Which? Michael D. Mumford is the George Lynn Cross Distinguished Research Professor of Psychology at the University of Oklahoma and serves as the Director of the Center for Applied Social Research. His research focuses on leadership, creativity, ethics, and planning. Cory A. Higgs is a graduate of the University of Oklahoma’s Industrial and Organizational Psychology program, and has completed work related to leadership, ethics, and creativity.